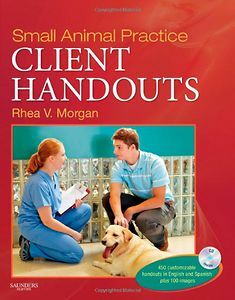 Includes 450 educational handouts that cover what your clients need to know about their pet's condition. This title features basic descriptions of illnesses and frequent signs, preventive measures and expected outcomes. It helps your clients to understand what their pet's illness is, and how it will affect the animal's regular routine.